I'm sad to admit it, but i'm 99% certain Fall is officially upon us here in Arkansas. It's been dreary all week, and today when I walked into the office it was a whopping 55 degrees and I was freezing my tush off! I was reminded that all the PSL's & Herringbone Vests in the world cannot make up for my pure hate for being cold. Fall is gorgeous and not too bad weather wise, but it's what comes after that makes me shiver in my boots. I can't leave without mentioning this FREAKING ADORABLE UMBRELLA! I mean real life, folks, have you ever seen a more blogger-perfect umbrella? Pink Polka dots, and my MONOGRAM? 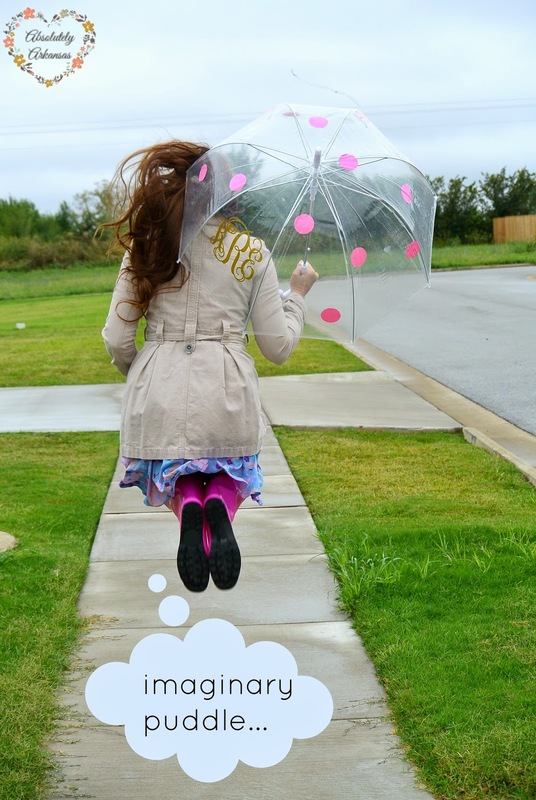 My sweet southern heart is head over rainboots for anything with a monogram, and if it protects me from the freezing rain while we're at it...well it just doesn't get better than that, does it? I hope you enjoy an amazing pre-fall weekend, filled with coffee, football, and donuts! If you like this look, you can shop it down below! Coach boots! I bet they're absolutely adorable! I'm a little jealous ;) But, really, I can't justify large amounts of money, no matter how cute they are! Hope you're having the best week, Stac! I need that cute umbrella! Mine are always so ugly haha! You SO need it! It was super affordable too. I want to buy them for everyone for Christmas gifts this year! Awww! Such a cutie! Great finds! Omg you are the cutest!!! Love everything about this look! That trench is gorgeous and your hair looks so amazing! Kaitlin, you're always the sweetest girl! Thank you so so much. I'm so happy to have made such a sweet blog friend! Ummm...I'm obsessed with that umbrella! It's so cute!! Isn't it the cutest!? Would make such a good Christmas gift,or gift for a new bride to be! Super cute outfit. You look adorable. You're so sweet! Thank you, Mel! Happy Hump Day! They were so affordable too...the best part! omg you are too cute! 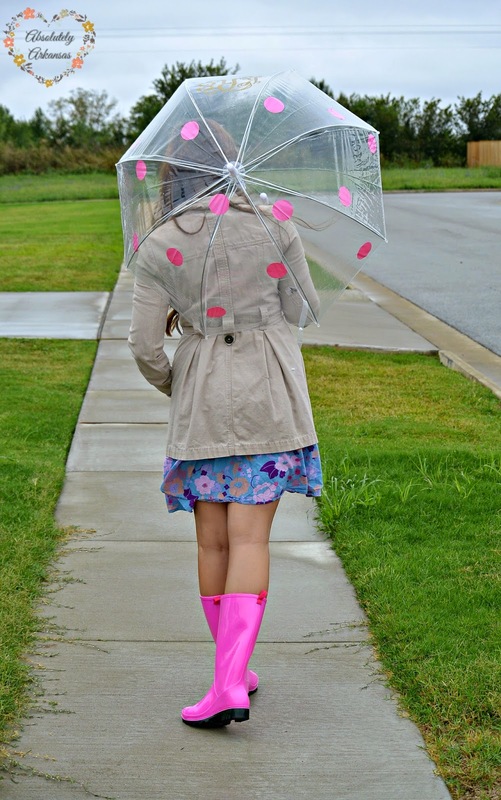 i absolutely love the pink rainboots paired with the trench. and that umbrella is adorable! Hey, Carli girl! Thank you so much for your sweet words, and for following along! It means a ton! Happy Humo Day! LOVE this look! You are too cute!! And that umbrella is perfect with those boots! You are the cutest thing! i was on the fence about a trench coat but i think this post has pushed me to get one! :) so cute!! Thank you so much, Maria! I wish the one I linked up wasn't out of stock, it was on such a great sale! Happy Friday Eve, gorgeous! Love the gumboots! They are rad! The umbrella is brilliant too. How cute are you!?!? Love your pink boots! I love your boots and umbrella the decorative touches and personalization of your umbrella are so fun! Thank you for stopping by my blog I have started following you on bloglovin and would love it If you could follow me as well! Thank you so much, Erin! Thank you so, so much for following along! That means a ton. Happy Friday Eve! Thank you so much, Anna! That means a lot. :) Happy almost Friday! 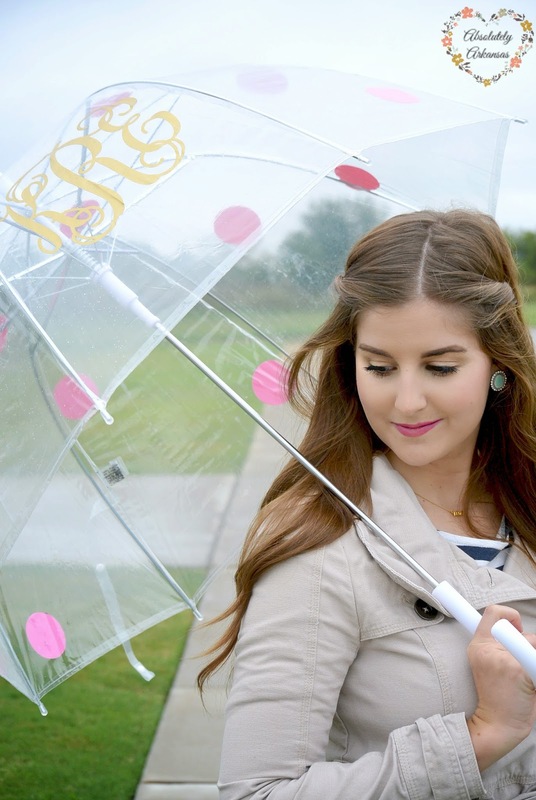 Beautiful look.Love the umbrella and your pink boots.Your makeup is stunning too. Thank you so much! Compliment city over here is making a gal blush! You're the sweetest, Andrea! Thank you, Laura! It would make a great Christmas gift, don't you think? Such a sweet post! I'm loving your rainy day outfit. Btw, your hair is just to die for!! Aw so cute outfit for a rainy day! 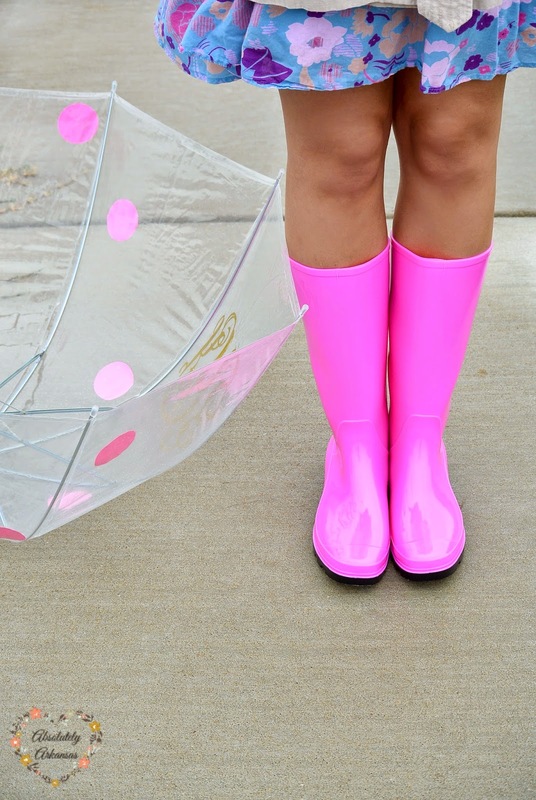 Love the pop of pink on your boots! Awesome pics! Thank you, Cvetina! I never grew out of my pink obsession :) Happy Friday Eve!